Rapper, producer, label owner, concert promoter and Founder of The Alumni, Kwamé Holland is one of the hardest working rappers from the Golden Era. He is recently took a break from touring and producing hit records for R&B artists and made waves with a revelation about his former boss, Hurby “Luv Bug” Azor’s nose for sniffing out legends. On The Soren Baker Show while talking about his career, he dropped a little gem the is sure to knock anyone who loved 80s Hip-Hop to the ground. The first gem was about how his debut album, The Boy Genius, got made. Though he grew up with Hurby Luv Bug, he was taking too long to produce a demo for the then teenaged Kwamé. Upon referral from a mutual friend, he went to a spot called The Music Building and cut his first joint. He produced a song entitled, “She’s Not Just Another Woman.” No one liked this song. He went back to the drawing board. The day was Christmas morning… and that’s how hit songs like “The Rhythm” and “The Mic is Mine” on that magical night. Six of the eight songs on that debut album was made in that 8 hour session. Kwamé shares the songs with Hurby and Sylvia Robinson (of Sugar Hill Records Fame). Hurby is not responding face enough, and so Robinson offers him a recording contract based off the demo. At the same time, his dad slipped the demo to Sony and they had an interest. This is exciting and upon returning back to Hurby, he finds out that the reason Hurby did not respond as quickly is because he was shopping it to a gang of labels and they were interested. Warner Bros., Atlantic and Epic records were presented by his neighborhood friend. He had a bidding war for the young gent. He wound up signing with another Sylvia… The Sylvia in the business… Sylvia Rhone. The second gem is why he did not use vulgar language. Mostly for Kwamé, he never wanted to disrespect his Islamic faith or say/do something that would embarrass people that he cared about. He talks about his struggle to be authentic to who he saw himself, and what the crew wanted him to be. Just think about the polka-dots. He was 16, and had a few choice pieces to rock. He inter-swapped three pieces that he had, but some how created a movement. He could not spend money that he did not have. The biggest gem that he dropped was about two of the dopest rappers of all time. Hurby apparently beat into his head that lyrical rappers would never work in Hip-Hop. The producer had his eyes on the bigger pie in the music industry, and was very much into making a cross-over rap record. But Kwamé again struggled to challenge his mentor. He understood in his heart that the artists who lasted forever focused more on artistry than gimmicks. Kwamé also gave props to people like Slick Rick, LL Cool J, KRS1 and Big Daddy Kane for not only being some of the top rappers of his time, but also for their production skills. The post Kwamé Says That Hurby “Luv Bug” Slept On Rakim and Big Daddy Kane appeared first on The Source. Everyone is excited about the upcoming battle against Philly’s own Cassidy and the Bronx born Goodz on URL in a few weeks. With the card, Resolution, everyone is curious to see if Cassidy can compete with one of the modern eras most formidable opponents. While the question is out there… Cass has put in enough work to walk him right up to the top stage, with one of their top gunners. Homie has been smoking dudes on the mic for over 20 years. Anyone who is anyone in Philly’s rap scene is familiar with the lyrical dexterity of Cass, and no one can front on how dope he is as an emcee. Check out a video from Back2BasicsRealRapsTV, of Cassidy explain how he got on. Also check him out as a buck, sick with the flows showing folk just why many believe that he “been” battle rap’s The G.O.A.T. Well some people believe that. Clearly, Gilly aka The King Of Philly, didn’t agree (and you know when Gilly speaks… folk listen). But none of these freestyles, his alleged 5001 victories in battle nor his street life scars- are what people reference when they talk about him as one of the originators of this current incarnation of battle rap. They look to the battle with former Roc-A-fella rhyme spitter Freeway, a contest that legend of Cass rest squarely on. Back in the day, congregated in a studio, one of the most epic battles amongst commercial rappers not only took place but was captured on video. Though the footage is grainy, the bars are preserved and presented by two of Philly’s greatest Hip-Hop voices. In the footage you hear a young Freeway, with his high pitched and sliding scare vocals, spitting some of his most hard-hitting bars. Not to be outmatched, Cassidy brings the charm, clever word play and yes machismo to the field of combat. The overall consensus is that Cass won. His win was based more on the fact that Freeway seems to have ran out of rhymes in the footage, than just the idea that he saturated the atmosphere with superior rhymes. Both emcees where ripe with flows and bars. No one can deny that from the gate when Freeways starts his first round with, “You ain’t f*ing with Free for two reasons: my two kids, my two mouths to fee…” that Cass was not just dealing with any old emcee. This rhyme-fest showcase why the ferocious Philly spit-kicker was so attractive to at the time, the number one crew in rap. However, the rules of the game differed about 15 years ago. Of course your pen had to be nice, but you also had to write like your life depended on it (and have a stash for a “just in case” scenario). Interesting enough, Cassidy battled (and beat) West Coast rapper, Dizaster a few years ago. And while Diz is one of this generation of battlers faves, lyrically, that battle could not hold up against Cassidy vs. Freeway. Bar-for-Bar both Philly emcees hold a mountain-like weight in the culture that can’t be moved or destroyed. But on the Resolution card, Goodz will surely try. With only 23 battles under his belt, few can say that they have beat him on stage. Sure you have those two disqualifications… and a few one offs where he joked the entire rounds… but no league owner or fan can say that Goodz is not worth the hefty purse that he requires to hold that glass of Henny and style on these n*ggaz. In fact, even Tay Roc felt the “Goodz Effect” last year when the two battled in Houston. This was the first time that “The Face of URL” and crowd favorite had ever been booed. Cass simply can’t sleep on Goodz. He is known to make people believers. The sold out Resolution is set for April 27th in Atlanta. Other battles are Tay Roc vs. K-Shine, Nu Jerzey Twork vs. John John Da Don, Rum Nitty vs. T-Top, Shotgun Sure vs. Chef Trez and Yung Ill vs. Brizz Rawsteen. The card will be available on Watchbattlelive.com. The post Cassidy Returns to The Stage, But Remember When He Battled Freeway? appeared first on The Source. Yesterday, tickets for Nipsey Hussle’s memorial service hit the net and didn’t last twenty minutes before they were gone, unfortunately, some who were able to secure seats were looking for a quick buck on Craigslist. Those listings have now been shut down by the online service. Tickets for Nipsey’s homegoing celebration were priced as high as $500, but TMZ details were quickly shut down. Tickets were originally distributed by AXS and were required to have a California zip code for getting the free tickets, however, everyone in the California area was not able to receive tickets. Online messages expressed the anger at those who are looking to make a profit off of the celebration of life. Nipsey’s family didn’t have to make that funeral public and open up for you all to say your last goodbyes just remember that. And if you guys are re-selling his funeral tickets to try and make more profit, you’re actually disgusting. Nipsey’s celebration will take over the Los Angeles area on Thursday as he will take a “Victory Lap” around Los Angeles on the way to the Staples Center as he will take one last ride through the neighborhoods he supported. The procession will cover 25 miles leading up to Staples. The post Reselling of Nipsey Hussle Memorial Tickets Shut Down by Craigslist appeared first on The Source. 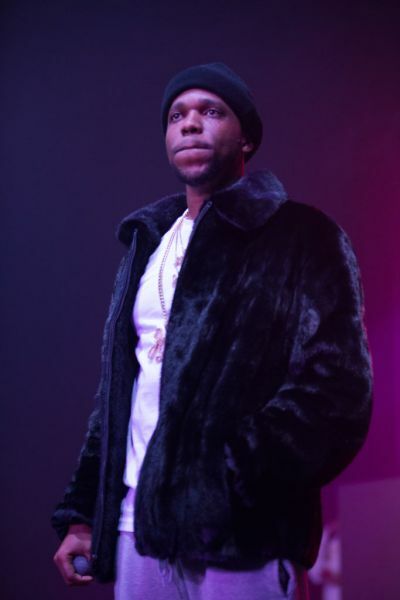 Get ready for a lyrical onslaught that’s become rare in the age of mumble rap and Hip-Pop as Curren$y, Trademark Da Skydiver & Young Roddy link up to drop bars like a clumsy Oompa Loompa in Willy Wonka’s Chocolate Factory. On their newest cut “No Hook” the members of the Jet Life clique reunite to bring a much-needed injection of lyricism into a game that’s filled with fluff and repetitive content. Though we’re not sure if this is an indication that a new full-length Jet Life crew project is in the works, we’ll take what we can get an like it. Check out “No Hook” below and let us know if this will be getting burn in your personal rotation for the weekend. This coming Saturday (March 30th) the NAACP will honor Jay-Z at the 50th Image Awards. The iconic MC and music mogul will receive the 2019 NAACP President’s Award, which is given “in recognition of a special achievement and distinguished public service,” a press release said. Past recipients include Danny Glover, Spike Lee, Lauryn Hill, Ella Fitzgerald, John Legend, and others. Since its inception, the annual NAACP Image Awards have celebrated “people of color in the arts” and those who “promote social justice through creative endeavors,” according to the civil rights organization. Jay-Z, whose classic album “The Blueprint” was recently added to the Library of Congress’ National Recording Registry earlier this month, is being recognized by the NAACP for his social justice work. He formed the Reform Alliance with Meek Mill to address prison reform. He co-produced the 2017 docuseries “Time: The Kalief Browder Story,” which chronicles the story of Kalief Browder, who spent three years as a teenager in solitary confinement in New York’s Rikers Island without being convicted of a crime. He also was behind the docuseries Rest in Power: The Trayvon Martin Story. He recently helped rapper 21 Savage with legal representation when he was detained by ICE. The Image Awards, hosted by Anthony Anderson, will telecast live at 9 p.m. Eastern Time from the Dolby Theatre in Hollywood. The post Jay-Z to Receive The President’s Award at the 50th NAACP Image Awards appeared first on The Source. According to Rolling Stone, Billboard told Lil Nas’s label Columbia Records, “his inclusion on the ranking was a mistake.” Because of Billboard’s stance, social media has been in an uproar. Many are calling the removal of “Old Town Road,” an obvious case of racial discrimination. The post Lil Nas X’s Song ‘Old Town Road’ Removed From Billboard’s Country Charts appeared first on The Source. We are currently in week 2 of the Jordyn Woods and Tristan Thompson cheating scandal. While many have criticized Jordyn for “betrayal” as an extended member of the Kardashian family, some have taken her side. One of those people is Michael Rapaport. Rapaport took to social media to give Woods some advice. Although is not direct to whom Woods should “bury”, it’s obvious that Rapaport is not a fan of the Kardashians. We have heard everyone’s side of the story except Thompson’s. Woods sat down with Jada Pinkett-Smith on Red Table Talk aired on Friday, in where she confessed to only kissing Thompson. She also states that she had never been there, to begin with, and denies all allegations of sexual encounters with Thompson. Khloe initially called Woods a liar but has now included her baby daddy in the blame game of her family’s breakup. With an alleged new season of Keeping Up With The Kardashians in the works, the Woods and Kardashian scandal will do wonders for ratings of all platforms involved, including Red Table Talk. The post Michael Rapaport Advices Jordyn Woods to ‘Bury Them All’ appeared first on The Source.